Hundreds of civilians were killed in a mosque and a hospital while hiding from a rebel onslaught on the city of Bentiu, says the UN. 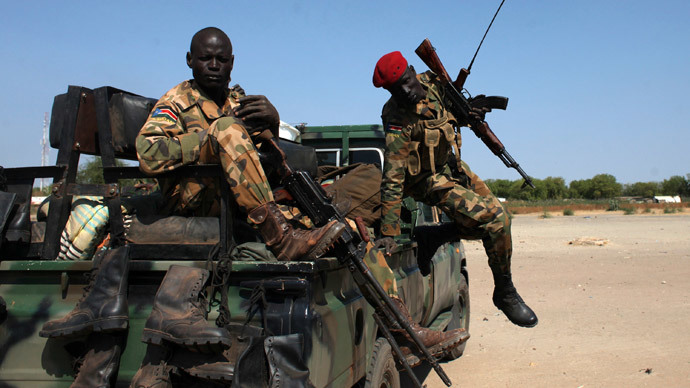 Fighting broke out in the oil-rich state last December, with the Sudan People's Liberation Army (SPLA) rebels, who mostly represent the minority Nuer tribe, striving to capture the oil distribution centers to starve the Dinka tribe-led government of money. On Tuesday last week, the SPLA entered Bentiu, which has been reduced to ruins, for the third time during the conflict. “Opposition forces entered the Kali-Ballee mosque where civilians had taken shelter, separated individuals of certain nationalities and ethnic groups and escorted them to safety, while the others were killed. 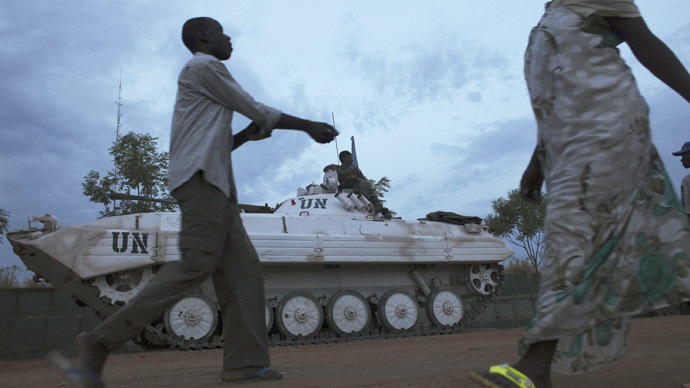 More than 200 civilians were reportedly killed and over 400 wounded at the mosque,” said a statement from United Nations Mission in South Sudan (UNMISS). While most of the victims were Dinka or foreign traders from the city’s market, even some Nuer weren’t spared. 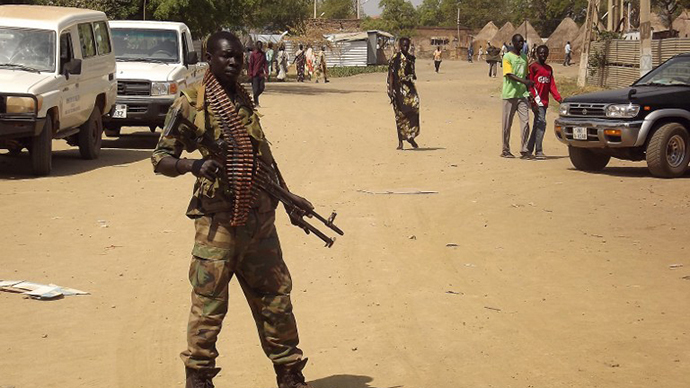 “At Bentiu Hospital, on April 15, several Nuer men, women and children were killed for hiding and declining to join other Nuers who had gone out to cheer the SPLA opposition forces as they entered the town,” said UNMISS. As in many other tribal conflicts in Africa, radio broadcasts incited ordinary citizens to violence. UNMISS says that its peacekeepers were able to evacuate more than 500 people to its base, where 12,000 are currently housed. 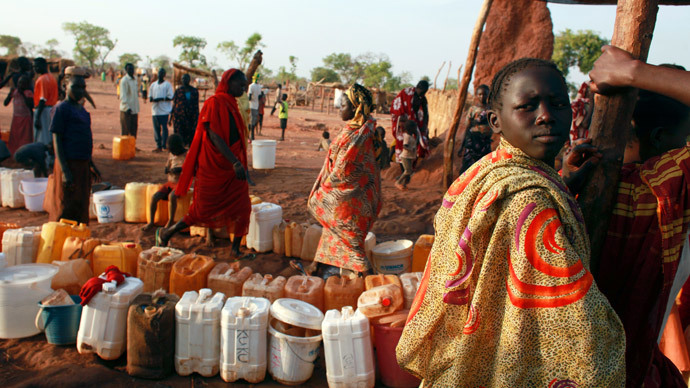 Overall, the UN is currently protecting more than 60,000 South Sudanese inside the country, a fraction of over 800,000 who have been left homeless by the conflict. Even the bases are not safe, however, with more than 50 people killed in a rebel attack last week. The United Nations also believes that the country could face the world’s worst famine in decades, with more than a third of the 11 million population poised to starve unless crops are planted before the annual rain season that begins next month.